Even in the age of internet car shopping, I still hear stories from people who spent half their day at a dealership to purchase a car. Cars are one of the few purchases that take a marathon to buy. According to a recent study, once a customer is at the dealer longer than 90 minutes, satisfaction rapidly declines. Autotrader.com published an industry white-paper entitled "It's About Time: Streamlining In-Store Processes to Improve the Customer Experience." 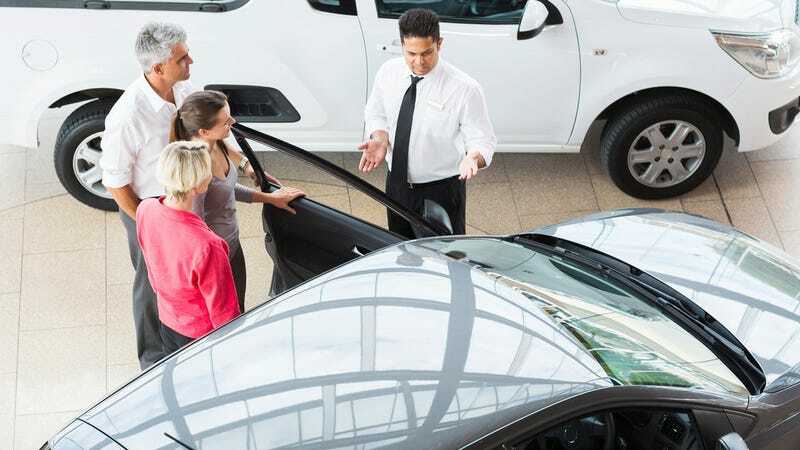 Analysts looked at several dealership vehicle transactions to asses the disconnect between customer expectations and the dealership experience, in relation to time spent at the dealership. Sales Process: The average time it took to complete the vehicle sales process was nearly 53 minutes – more than half the desired ideal total customer cycle time of 90 minutes. Negotiation took an average of 21 minutes and a maximum of 41 minutes, making it potentially the most time-consuming variable in the vehicle sales process. Vehicle Appraisal Process: The average time it took to complete the appraisal process was 43 minutes, nearly half of the total desired customer cycle time of 90 minutes. Negotiation took an average of 16 minutes and a maximum of 39 minutes, making it a significant time-consuming variable in the appraisal process. F&I Process: The average time it took to complete the F&I process was nearly 61 minutes – two-thirds of the desired length of the ideal total customer cycle time of 90 minutes. The F&I process was lengthened by requiring signatures on multiple paper forms, and filling out these forms took an average of 21 minutes and a maximum of 44 minutes, making it a significant time-consuming variable in the F&I process. The study concludes by saying, customer satisfaction is at its highest within the first 90 minutes on the day of purchase; however, that number begins declining once time spent goes beyond the 1.5 hour mark. At 2.5 hours, satisfaction drops below buyers' average satisfaction score. Clearly dealerships have some work to do in terms of streamlining the process, but there are things that the car buyers can do to minimize the time spent at the dealership. Sales Process: Solicit quotes via phone and email and have a price negotiated before you arrive at the dealership. Just make sure you are getting "out-the-door" prices that include all taxes and fees. Vehicle Appraisal Process: Some dealerships will give you a "ball-park" quote on your trade if you send them information such as the VIN, year, make, model, trim, and mileage. Of course condition is everything, but if you have something lightly used that is in good shape, they should be able to give you an approximate trade value. Keep in mind that any accident history will impact your trade-in value. F&I Process: Once you have settled on a vehicle and worked down the price. Get pre-approved for financing, then try to make contact with the finance manager and have them run your application via phone or the dealerships website. They can call you with your approval and your rate. Depending on your credit situation this may or may not be possible, but for most buyers with good credit it can be done.